This Ridgeline Hard hat is made out of ABS material, which is strong yet ultra-light for seemingly weightless protection. The ratchet suspension is easy to adjust and allows the wearer to modify the fit while wearing the hard hat. 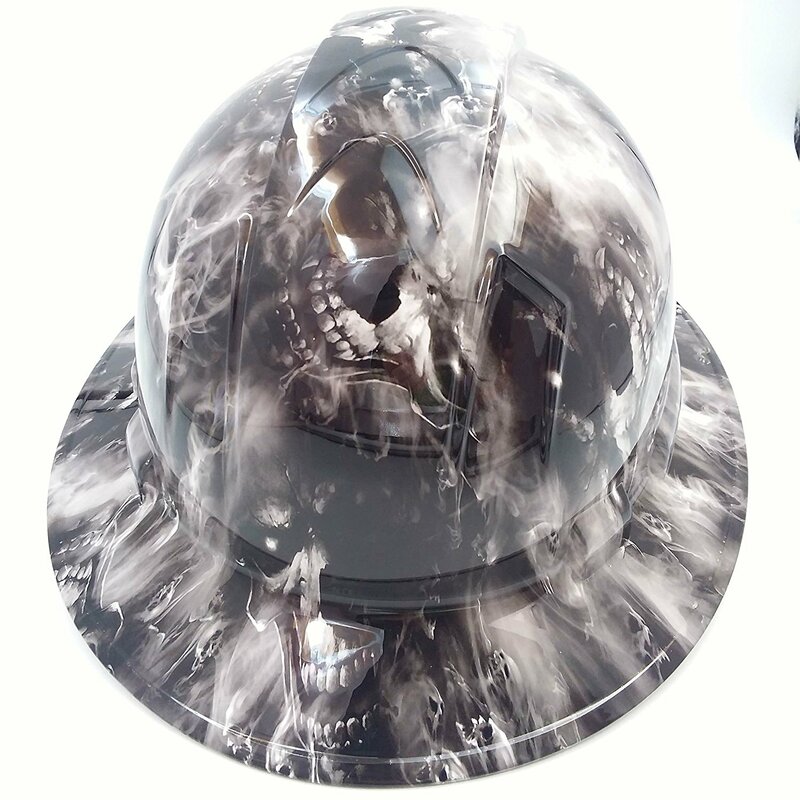 This hard hat has been custom hydro dipped then clear coated with a mirror like gloss finish. It meets ANSI Z89.1-2014 standards and is Type 1, Class E, G, and C certified. All Ridgeline hard hats come with a fully adjustable swing and ratchet suspension that fits hat size 6 3/4 to 8. Padded rear section of head gear is a super nice touch not to mention the super soft replaceable and washable front sweat band. The head gear is also fully adjustable front to back and up and down, 2 different positions each. When you choose D.E. 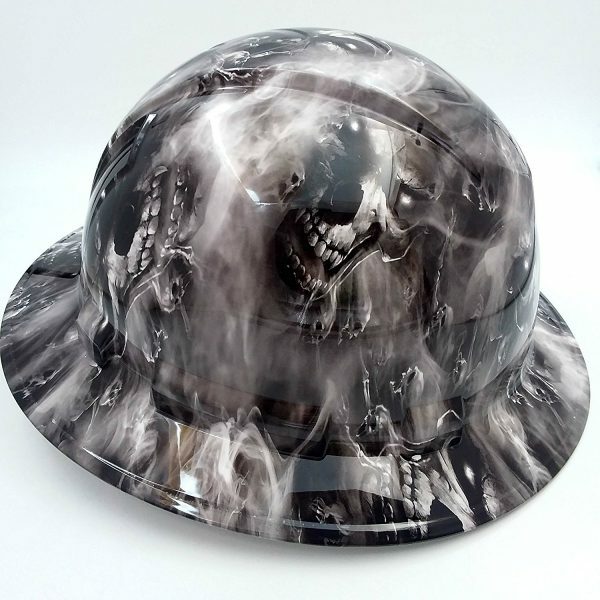 Gemmill Inc. as your provider, you’ll gain access to quality products with a satisfaction guarantee — including this Hades Demon Devil Hard Hat. Our top priorities are your safety and satisfaction, as well as that of your entire team, which is why we sell only the most advanced products on the market. Fast access to products: For your convenience, we offer both shipping and in-store sales for our products. If you choose to order online, you can expect fast delivery of any products you order from us. If you visit our retail location, you’ll have the opportunity to try on each product and leave with it that day. Impressive selection: If you’ve decided you need a full-brim hard hat, you’ve come to the right place to find the variety you want. If you need additional products like pavement markings, safety vests, traffic control signs or other equipment in the industry, you’re in luck. We’re your one-stop shop for this industry’s gear and we’ll even work with you to customize certain items when you call us at (866) 755-9794. Affordable options: We strive to make even the highest-quality products affordable so your team can stay productive without hurting your bottom line. To move even closer to reaching this goal, encourage you to sign up to receive coupons to use on your first purchase. At D.E. Gemmill Inc., we strive to bring you the right products for your team no matter what it takes. If you have questions, need more information or want help deciding whether these hats are right for you, reach out to us for help so you can buy today!